Lucretia Bingham is the author of the new novel The Talcott House, a modern retelling of the classic Daphne DuMaurier novel Rebecca. 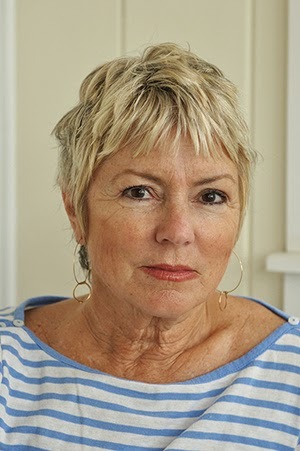 She has written for a variety of publications, including the Los Angeles Times and Vanity Fair. She lives along the Long Island Sound. Q: Why did you decide to write a modern version of the classic novel Rebecca? A: Because I found myself actually living out a version of that classic story! When I first moved into my new husband’s grand old shingle style mansion, there was a resident housekeeper who, like Mrs. Danvers in Rebecca, attempted to sabotage my position in his heart and in the house. Like the young wife of Rebecca, Ophelia, the heroine of The Talcott House, has her doubts. Can’t all of us relate to having doubts about the truth of our loves? Haven’t all of us often wondered if our new love still pines after his ex? Q: How closely did you decide to follow the plot of the original novel? A: As a writer, the old “what ifs?” began to invade my mind and waking dreams and my true story began to morph into a fictional tale of its own. What if the housekeeper were not just manipulative and unpleasant but truly evil? In real life, my wonderful stepdaughters, almost grown-up, had been privy to the housekeeper’s poisonous assessment of me, but what if the children in this new made up story were younger and more impressionable? Though my novel The Talcott House and Rebecca are both haunted by a charismatic and narcissistic dead ex-wife, the plot truly diverges from the original in that Stuart, Ophelia’s new love, is not the murderer, as in the original Rebecca. Instead the evil in The Talcott House points the finger toward one of the daughters or the housekeeper. Or perhaps it really is a ghost? Q: Was the house in your book based on an actual place—maybe your actual house--and why did you pick Connecticut as the setting? A: Gothic novels must have gothic houses! Their brooding character set the stage for the classic struggle between good and evil. 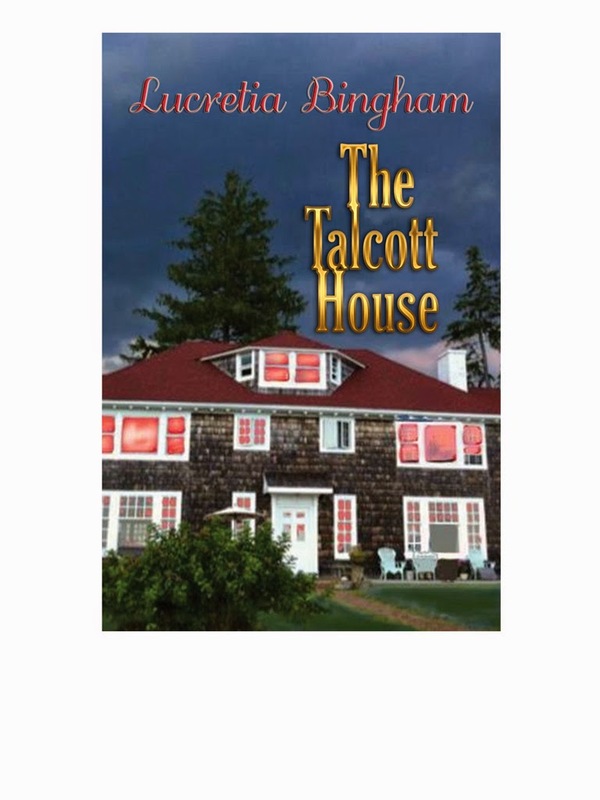 And since I live in a grand old shingle style house in Connecticut, which is already purported to be haunted, it was easy to make the actual Talcott House the central setting of the book. When the winter winds howl and the whole house shakes and doors slam of their own volition, it isn’t hard to imagine ghouls stalking its halls. Is it haunted, people ask? One guest said an invisible hand pushed her down the staircase. Others say they hear strange tinkling piano music emanating from the heating pipes. And, in the past, there have even been a rash of mysterious fires. But I personally believe that all of us can be equally haunted by lost loves and thwarted desires, and that twisted dreams can indeed be as fearful as ghosts. And in that case, yes, The Talcott House has seen its share of haunts. 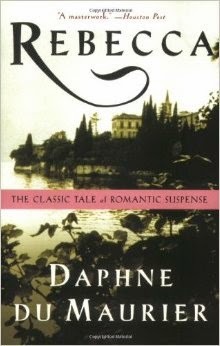 Q: In addition to Daphne DuMaurier, which authors have influenced you? A: When I set out to write this book, I thought back to great novelists of the past. When I was 13, Dracula, by Bram Stoker, kept me sleepless for months. Dickens enthralled me by ending chapters with cliffhangers. And I loved the wild passion of Wuthering Heights, which made me breathless. So, just as those writers and books did, I wanted to make my readers’ hearts skip a beat, both when the lovers touched and when they were endangered. I love reading a book I can’t put down because I must know what happens next. A: As to what lies ahead, another favorite writer of mine was H. Rider Haggard, who wrote wonderful suspense adventure novels, which my mother once read out loud to me. His works inspired the sequel to The Talcott House, entitled She, the same name as my favorite Haggard novel. With the same group of characters as The Talcott House, She is a story of white slavery, child kidnappings, romance and adventure set in the souks, deserts and Kasbahs of Morocco. Keith Publications, LLC has it on their slate of novels soon to be published. I am also in the process of writing the final chapters of a novel entitled The Four Absolutes, about a young girl’s coming of age within the confines of a religious cult, a subject close to my heart since my father was indeed a member of cult during my childhood years. A: Visit my web site TheTalcotthouse.com for more information on everything, and its Facebook page, The Talcott House, which posts events and pictures regarding the house, its environs and its life as a novel.